Traveling in groups or as a family can be trickier than camping alone or with one other person. But choosing the tent doesn’t have to be! This article will make it really easy to choose the best 4 person tent for camping, whether it be car camping or backpacking. Literally, all of the best 4 man tents available are listed below so you can weigh up the pros and cons and then decide for yourself! 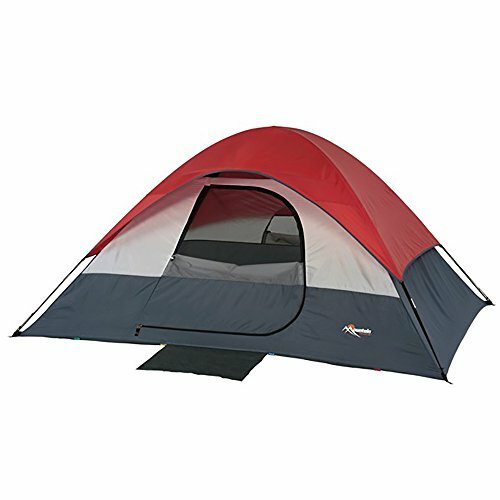 What is the Best 4 Person Tent? 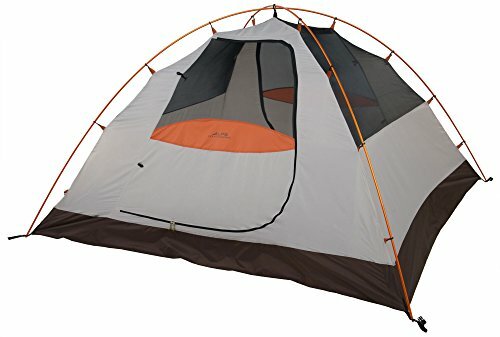 How Heavy Should My Tent be for Backpacking? How do I Choose a Tent? It is Possible to Buy a Good Quality Backpacking Tent for a Low Price? What is the Best Way to Pack a Tent for Hiking/Backpacking? Review: This is a great instant tent. It’s 8’ long by 7’ wide, and almost 5’ tall at its peak. This tent offers 56 sq. ft. of floor space, and weighs 18 lbs. It’s obviously too large to carry in a backpack but is ideal for car camping trips. This tent is one of the easiest to set up. All of the poles are already attached. All you need to do is extend the tent poles and lock them into place. The entire setup takes about 60 seconds, and one person can do it alone. This tent uses Coleman’s WeatherTec system. The floors are welded and the seams are inverted, which prevents water from entering the tent. Poles are made of steel, rather than aluminum or fiberglass. They’ll never bend or break. This is a really heavy tent, almost double what similar tents weigh. This is the best 4 person tent for campers seeking something high quality and easy to set up. 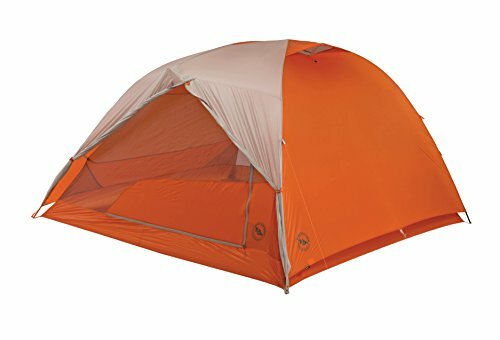 Review: Mountain Trails make good quality tents. When pitched, this tent measures in at 9’ long by 7’ wide, with a peak height of 4.3’. The interior features 63 sq. ft. of space, and the tent weighs a very reasonable 7lbs. for easy carrying. Good sized vestibules for gear storage. Large Dutch style ‘D’ shaped door makes it easy for campers to get in and out, which is important when so many people are sharing a single space. Includes a rain fly, a fully sealed floor, and even a mud mat. This makes it easy to keep the interior clean and dry. This is only a three season tent. You can’t use it in snowy weather. 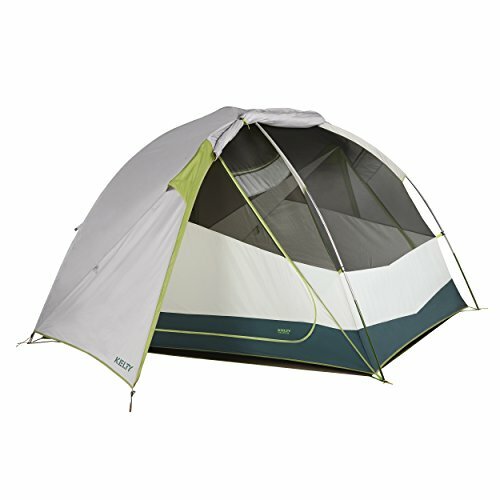 This tent is very spacious, and the price is more than reasonable. This is the best four person tent for people who really appreciate their space. Review: The Evanston tent is 9’ long by 7’ wide and 68” high, giving you 63 sq. ft. of space to camp in. It’s large enough to fit a queen sized air mattress with room to spare, so 4 people in sleeping bags certainly won’t be a problem. It weighs about 16 lbs. which is on the heavy side but packs down into a reasonable package. Coleman’s WeatherTec system comes with a complete rainfly equipped with awnings over the windows, and a welded floor to keep the water out. Mesh roof for stargazing on nights where there’s no chance of rain. Comes with an electrical port that will be useful if you stumble upon a campsite with power outlets. You’ll be able to charge your phones or rechargeable lanterns inside of the tent. Pretty heavy – not light enough for backpacking. This is an ideal tent for car camping coming equipped with electricity ports and plenty of liveable space. 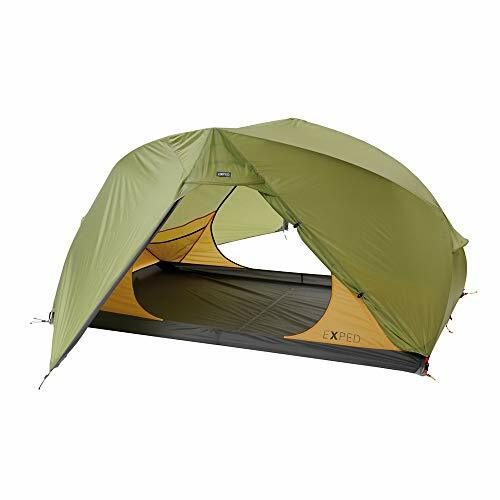 Review: This tent is 102” long by 90” wide and 52” high, giving it a total floor area of 64 sq. ft. It weighs 9.4lbs. and it packs away into a compact carrying bag. This is a three season tent with great waterproofing that’s better than it needs to be – making it well worth the money and a little more versatile than similar four person tents. 2 doors for easy entrance and exit. Full coverage rain fly is factory sealed, as are the waterproof floors. Set up is easy with two fiberglass poles. You only need to clip the components to the pole in order to erect the tent. One person can do it alone. Tent doesn’t have privacy window flaps. If you want the tent to be completely closed up, you’ll need to put up the rain fly. 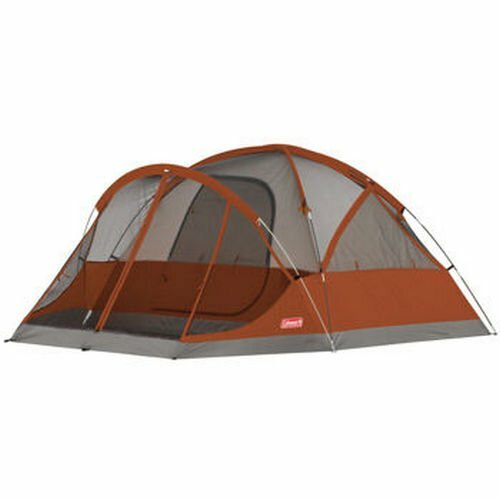 This is the best 4 person tent for backpacking for its balance of weather proofing and reasonably light weight for its size. Review: The Kelty Trail Ridge is a very reliable, lightweight, 3 season, 4 person tent, that is super easy to put up and can cope with a range of weather conditions. Its no-see-um mesh ceiling is ideal for stargazers with a fly that rolls back half way and 2 large D shaped doors that make entry and exit really easy. And it comes with the footprint which is a huge plus! 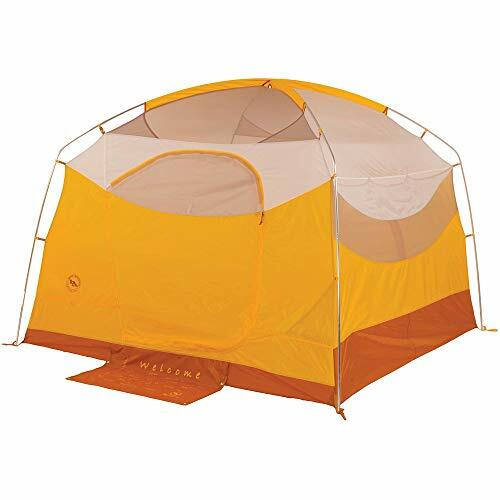 Has 2 doors and 2 vestibules which is essential for tents housing more than 2 people. Full coverage rain fly and bathtub floor with taped seams for waterproofing. Rain fly rolls back halfway to reveal the mesh roof for stargazing. Has a trail weight of 9 lbs. 12 oz. and a 57 sq. ft. floor area with 28 sq. ft. of vestibule space. For its price, there’s not much to fault this tent, except that maybe the flaps get caught in the zippers a little too easily. This is a pretty fail-safe option if you’re looking for a solid mid-range tent that can be taken car camping or backpacking. It is spacious, durable and versatile. Review: The Coleman Sundome is one of the most popular entry-level tents on the market which makes it a great option for beginner campers or backpackers. It’s easy to set up and made of good quality materials. Includes dark room technology so you can sleep as late as you like and not be disturbed by daylight. Bathtub floor and sealed seams help with waterproofing. 63 sq. ft. floor area is ideal for 4 people. An e-port makes it compatible with powered campsites. Less mesh than most double walled tents so it could get a bit stuffy. The rain fly isn’t full coverage so it won’t cope with really heavy rain. This is the best cheap 4 person tent available for moderate weather conditions, being good quality and highly affordable. Review: This is a highly popular tent that makes almost all of the “best tent” lists online, and for good reason. It is lightweight, well-designed, easy to set up, very weatherproof and spacious inside. The only downside is the price, but if you can handle then, this is easy one of the best lightweight 4 person tents available. With a trail weight of 5 lbs. 3 oz. this is the lightest 4 man tent on this list. All seams come PU taped and the fly and floor have a 1200mm waterproof rating. With a 57 sq. ft. floor area, 50” peak height and steep walls, there is plenty of place to sit and hang out. 2 doors for convenient entry and exit. It is recommended to get a footprint to extend the life of the floor but unfortunately, it’s sold separately which only adds to the price. If lightweight is your priority, this is one of the lightest possible 4 man tents on the market that still manages to be durable and weatherproof. Review: The Nemo Wagontop is a single walled tent meaning you don’t have to worry about a separate rainfly when you set it up. 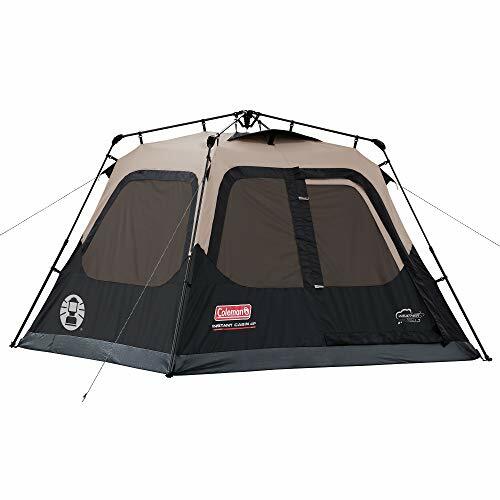 It’s tall enough to stand inside and has a huge front awning style vestibule which acts as a great transition zone so that you don’t bring the rain into the tent with you. Taped seams and durable material for weather proofing. Large screen windows on all sides allow for ventilation, views or privacy depending on the moment. 69 sq. ft. of floor area plus an additional 27 sq. ft. of vestibule area is one of the largest on this list. Easy to set up with color-coded poles. Packed weight is just over 19 lbs. which is pretty heavy. This could be the best 4 person tent 2019 for its durability and interior space, provided you don’t expect to carry it in your backpack of course! Review: This is a less well-known tent but one definitely worth considering if you’re more of an adventurer and want a lightweight but spacious and durable tent that you can safely take into the backcountry. It has a floor area of 57 sq. ft. which is a good amount of space for 4 people, coupled with 11 sq. ft. vestibules on both sides for plenty of gear storage. The walls actually bow outwards a little from the bathtub floor resulting in an interior that is ideal for sitting up inside. 4 identical poles make for a quick and easy set up. Very resilient against the wind and rain. Two large doors pair with the vestibules. Weighs in at just over 8 lbs. making it ideal for backpacking expeditions. 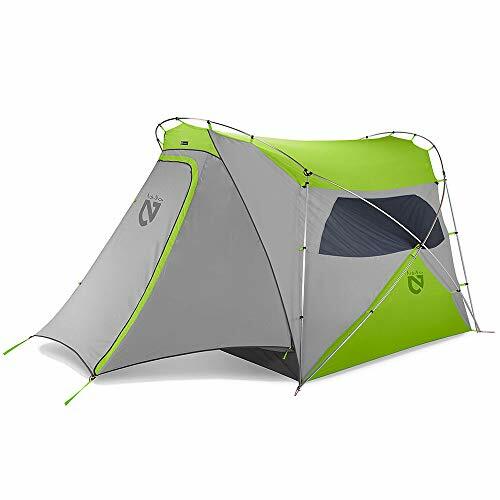 This is the best 4 person backpacking tent 2019 if you don’t mind the price. It is very resilient and guaranteed to stand up to any storm. Review: This is another rare example of a single walled 3 season tent. It’s semi-freestanding meaning the main frame can support itself but the vestibules need to be staked out. It has 58 sq. ft. floor area and an additional 42 sq. ft. of vestibule space with a weight of 13 lbs. which makes it a car camping tent as opposed to backpacking. One advantage of a single walled tent is that the inside doesn’t get wet when you erect it in the rain. The vestibules provide a really good amount of storage space. Vents in the roof and mesh doors help with ventilation. Extremely well-constructed and very weather-proof. The single wall design makes it more suitable for cold weather camping than hot. This is a very high quality tent that would suit small families who camp in variable weather conditions and want a tent that will last a long time. Review: The Lynx 4 is an ideal backpacking option for trail lovers traveling in a group. It weighs a very low 8 lbs. 10 oz. total weight and packs up into a compact package. It’s very easy to set up with the classic criss-cross pole design and is very reasonably priced. Trail weight is a light 7lbs. 15 oz. Lightweight and strong aluminum poles. Stakes could benefit from being upgraded if you’re going into a windy environment. For the price, you can’t really go wrong with this tent. Its quality rivals much more expensive tents. This is definitely the best 4 person tent for the money. Review: This is another reliable freestanding, 3 season tent from Kelty. Designed for car camping, it is too heavy for backpacking (19 lbs. 8 oz.) but provides a very spacious interior with an impressive 60 sq. ft. of floor area and an even more impressive 35 sq. ft. vestibule space for gear storage. Almost vertical walls provide lots of head space. Plenty of mesh in the walls and roof for air circulation and stargazing. Easy set up by one person. Plenty of internal storage pockets. Rain fly limits ventilation when it’s completely zipped up. Pole connections could be a possible weak point. This is a purchase that few people will be disappointed with. It is excellent quality for its price and the best 4 person camping tent for car campers looking for a really spacious interior. Review: This is another high quality, highly liveable tent from Big Agnes with a 5.6’ ceiling height which is tall enough for some people to stand up in. It has a very comfortable 56 sq. ft. of floor area and almost vertical walls which maximize the internal volumes. Trail weight of just 8 lbs. 4 oz. which is ridiculously light for such a large tent. Steep walls provide a huge amount of living space. All seams come sealed with waterproof tape. Plenty of interior storage pockets for gear. Footprint sold separately – and unfortunatel,y it is worth shouldering the extra expense and buying it to protect the floor. If you can afford it, this is a very well-made and well-designed tent that will make you feel a little as though you’re glamping, no matter where you pitch it. Review: This is a solid, free-standing 4 person tent that is a little smaller and heavier than some, but it’s affordable and pretty durable. It has a floor area of 56.5 sq. ft. which is about as small as you’d want to go for 4 people. Durable 75D polyester material has a 1200mm waterproof rating and comes with taped seams. Plenty of mesh for ventilation. 11 lbs. 15 oz. is a little heavy for backpacking, even after splitting the weight between the team. The fiberglass poles may be the weak point in this design. Considering the tent is already pretty heavy, aluminum poles would have added some strength. 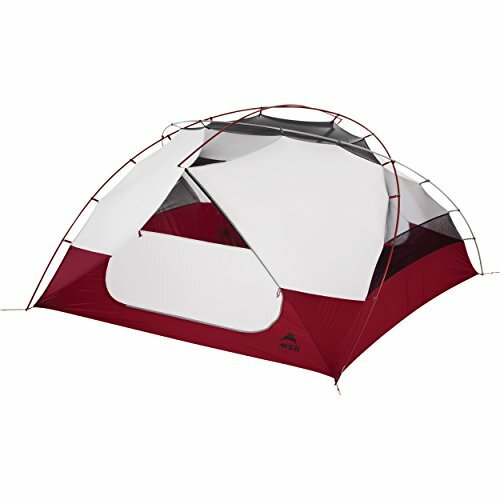 This is the best 4 person tent under 200 dollars for its balance of durability and cost. Review: This is another reliable products from MSR, being lightweight, durable and very spacious. It has a floor area of 54 sq. ft. which isn’t as big as most 4 person tents, but with the 24.5 sq. ft. of vestibule space for gear storage, you can get away with a little less space inside. Weighs in at 9 lbs. 6 oz. standard weight or 7 lbs. 15 oz. trail weight. Comes with a footprint which is a rare bonus for a high-end tent. 68D ripstop polyester rainfly with a waterproof rating of 1500mm. Includes zipper pulls that glow in the dark for increased convenience at night. Not quite as awesome as the Hubba range of MSR tents but still pretty awesome. 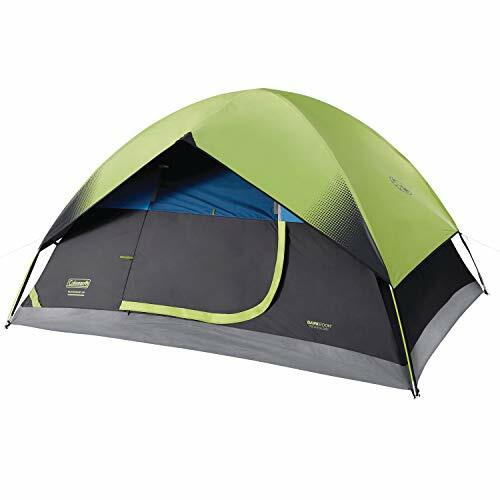 This is an excellent option for a lightweight, 4 man backpacking tent. When you’re looking for the best 4 man tent, the things you need to consider are slightly different from what you’d want in a two man tent. For example, multiple doorways are really important when there are 4 people sharing a tent. Decent sized vestibules for gear storage are also a must as most tents provide enough floor space to sleep the required number of people but not their stuff. 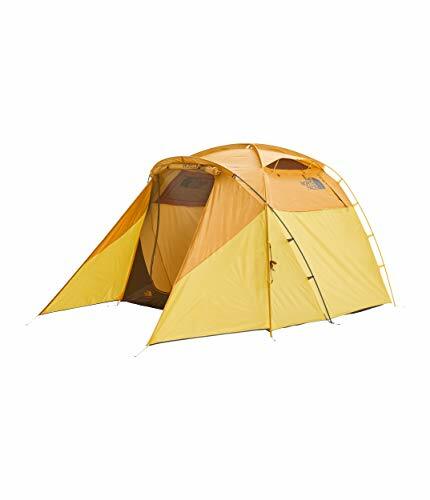 The best 4 person backpacking tent needs to be able to accommodate every camper’s needs. It also needs to be designed for the climate you’re camping in, and be portable enough to take with you. I’ve outlined the main considerations below so you can be sure you haven’t overlooked anything when it comes to decision time. Tents are rated for different seasons. The majority of tents are either 3 season tents or 4 season tents. 3 season tents are suitable for summer, spring and fall, while 4 season tents will also work in winter. 4 season tents are a unique species designed to cope with extreme winds and snow loading. Most campers won’t ever need tents with these capabilities. Most 3 season tents will look after you well if they’re good quality, have excellent waterproofing and you are equipped with all the other necessary gear to be safe. You should have a good idea of what kind of weather you might face before you choose your tent and be prepared for wet and windy conditions in the middle of summer. Because, you know, the seasons are becoming more unpredictable. If you are heading up a mountain, you’ll need a 4 season tent regardless. The best waterproof tents won’t necessarily be able to tolerate the alpine conditions that 4 season tents are built for, and weather can change a whole lot quicker in the hills. 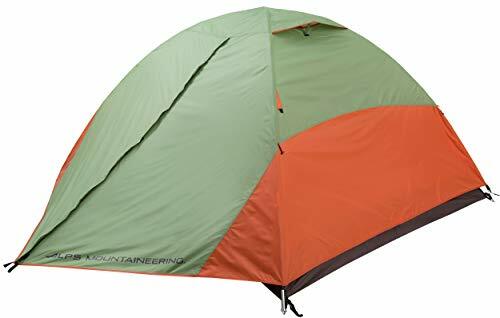 Alternatively, if you know you’re going to be sticking to low altitude summer camping where heat is going to be more of an issue than rain, look for tents designed for hot weather. A four person tent is going to be heavy – there’s no way around it. If the tent is too light, it’s probably not a good quality tent. Be wary of four person tents that weigh less than 8 pounds. They’re probably not reliable unless they’re from a reputable brand. The best 4 person tent for camping needs to be large enough for everyone to comfortably stretch out on their sleeping pads or no one’s going to have a good night’s sleep. This extra size translates into extra weight. But, the good news is that you have 4 people to help carry it! 4 person tents are big. This isn’t your average 2 person outing. Luckily, that also means you’ve got more people on hand to help set up. But, in saying that, most good 4 person tents are still easy enough to set up by one person alone. Ideally, you want to be able to set the tent up in around 3-5 minutes so that if you arrive at camp hungry and cold, you can get right into the dinner preparations without having to worry about the tent. Check out videos like this one and be reassured that with a bit of practice, you’ll be a pro. The best 4 person camping tent needs to have a spacious, liveable interior. The average 3 person tent will come in at slightly under 50 sq. ft. of floor space. A 4 person tent will need to be larger – large enough to accommodate an extra body. If your 4 person tent is the same as the average 3 person tent in terms of space, somebody’s going to have to sleep outside. The best 4 man tent needs to be able to accommodate four people with enough room in the vestibules for important gear. If you want a 4 person tent that you can take backpacking, there won’t be space for everyone’s packs inside. That’s just the way it is. It would have to be too large and therefore be too heavy to carry. Look for good sized vestibules and then be prepared to leave larger items outside the tent under a rain cover. This kind of fits in with the season ratings above, but it’s worth knowing what to look for. Tents that come with their seams sealed are handy as it saves having to do it yourself and is generally a good sign that the tent is going to be waterproof from the get-go. 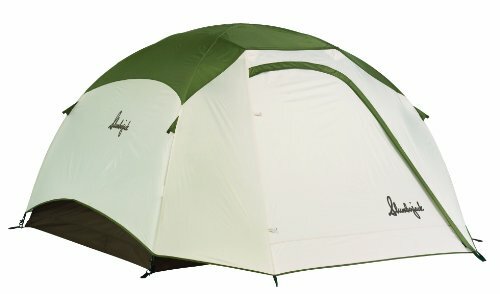 Waterproof ratings in mm aren’t very useful as they depend a lot on the material and how well you’ve set the tent up (ie. tension). But, generally, the higher the better if a rating is listed. The denier of the tent material will give you an indication of how thick and durable the fabric is. Again, the higher the better. However, thicker also means heavier so top quality ultralight tents will appear to have a worryingly low denier. This doesn’t mean they’re low quality, but they will need more careful treatment to ensure a long life. Sturdy poles and stable configurations are important from a wind point of view. Aluminum poles are a safe, affordable option while more high-end tents might use carbon to save weight. Steel poles will be heavy. Bathtub floors are handy as they prevent rain splashes from entering your tent and can help with warmth as well. Most of the time, full coverage rain flies are also a must. This is a matter of opinion! But, the MSR Elixir 4, Kelty Trail Ridge 4 and Coleman Sundome 4 are all great choices. This depends on the size of the tent, but generally speaking, 2-3 lbs. per number of people, the tent is designed to sleep is a good guide. For example, any heavier than 8 lbs. for a 4 person tent is unnecessarily heavy for backpacking. Be familiar with tent brands and their reputation and know your priorities. Know what size you want, what weather conditions your tent needs to cope with, and how much you can pay. Not really. There are some reasonable quality tents at low prices but when it comes to tents, you really get what you pay for (up to a point). This depends on whether you’re sharing the load with someone else or carrying the whole thing by yourself. There is no right or wrong way to carry a tent provided it doesn’t get damaged in the process. Usually, rolling up the fly and mesh inner as tightly as possible and packing it in the same manner as your clothes will be the most space efficient. You can then slide the folded poles and tent stakes in at the end wherever you have space. Thank you for reading, I hope you found some useful information. Choosing a 4 man tent doesn’t have to be overwhelming. It’s just a case of knowing what your priorities are and not getting overwhelmed by the options! Be sure to comment below if you’d like to share your experiences, and if you haven’t downloaded my free travel ebook, go ahead and grab yourself a copy of that too!